Get up to speed on MS Office 2010 and learn how to use the new features of Word, Excel, PowerPoint, and Access. 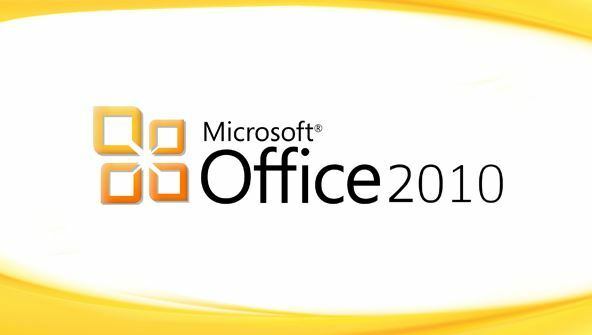 Get up to speed on the latest version of Microsoft Office 2010! In these lessons, you'll explore all the new features of Office as you work with Word documents, Excel spreadsheets, PowerPoint presentations, and Access databases. As you master each program, you'll explore both the new 2010 features and those added in 2007. If you're still using Office 2003 or 2007, you'll learn how to transition smoothly to this newer version—and if you're already using Office 2010, you'll discover ways to work more quickly, efficiently, and confidently. In Word, you'll learn all about the new 2010 File tab. After that, you'll see how to manage your documents in Backstage View and work with the new Picture SmartArt layouts. Then you'll find out how to make your documents more accessible to all users with the Accessibility Checker, and learn how to find anything in your documents quickly with the Navigation pane. Finally, you'll discover that working in a multicultural world is easier than ever with the new Mini Translator. In Excel, you'll see what the File tab does and find out how to save your worksheet as a PDF file. Next, you'll learn how sparklines let you illustrate your data in a compact format, discover how slicers allow you to summarise data quickly, and delve into brand-new formatting options. In PowerPoint, we'll look at the new File tab and then move on to SmartArt picture layouts and the new Picture background removal feature. In addition, you'll see how video styles can make your videos look spectacular and how the Transitions tab can make slide show transitions easy. You'll also master new animation effects, examine how to organize long presentations using sections, and learn how to create a video from any PowerPoint presentation. In Access, you'll learn how to use the new data type parts to quickly add pre-made fields to a database, and explore application parts (which are like templates you can add to your databases). You'll see how Access 2010 lets you use themes in forms and reports, and how you can share your Access tables, forms, and reports by publishing to other formats and exporting objects to the Web. Before you know it, you'll be using each MS Office 2010 program with ease, accomplishing your work faster, and creating documents that look better than ever! From the moment that you enrol in What's New in Microsoft Office 2010 you will become an integral part of our learning community. You will experience the perks of classroom studies such as chatting by the water cooler or sharing your opinion on a specific task, all in your own home.